It’s the ultimate fairytale, isn’t it? 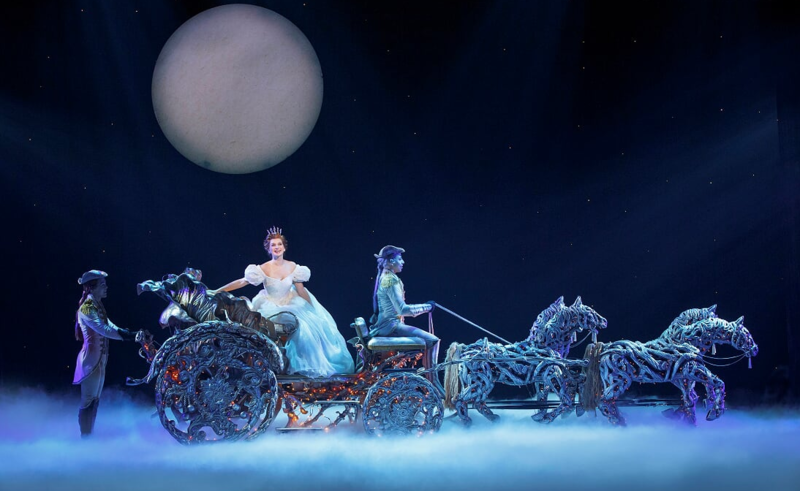 Rodgers + Hammerstein's CINDERELLA, the 2013 Tony® Award-winning Broadway musical from the creators of The King & I and The Sound of Music, will play the Bass Concert Hall for a limited engagement from December 6-10. Tickets for CINDERELLA are on sale now at BroadwayinAustin.com, the Bass Concert Hall box office, all Texas Box Office Outlets, by phone at (512) 477-6060. Tuesday – Friday at 8 p.m.; Saturday at 11 a.m., 2 p.m. & 8 p.m.; Sunday at 1 p.m.
TEXAS PERFORMING ARTS is situated on the main campus of one of the largest and most prestigious research universities in the country. Texas Performing Arts serves The University of Texas at Austin campus and the Austin community at large through a diverse season of world-class fine arts performances, educational activities, and collaborative partnerships. Texas Performing Arts presents an international season of music, theatre, dance, and conversation in our multiple venues, as well as the best in touring Broadway productions and concert attractions. As a university-based arts center it is also committed to serving the academic mission of the College of Fine Arts by supporting the work of our students, faculty and staff on our stages, classrooms, studios and production shops; and in the educational outreach programs it provides for the Austin community.